Note: Study Watch is an investigational device and is not available for sale. The architecture of Study Watch was tailored specifically for high quality signals and seamless usage, with consideration of the needs of observational studies, such as how continuous wear impacts a user’s experience. These design and functionality decisions were reinforced by feedback from users, researchers, and clinicians. Because the investigational device stores health data, all data are encrypted on the device for security. The encrypted data are uploaded and processed in the cloud using Verily’s backend algorithms and machine learning tools. This infrastructure is highly scalable and can serve population studies consisting of large volumes of data. 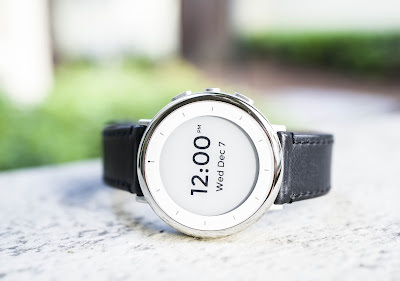 Study Watch will be used in several observational studies conducted by Verily’s partners, including the Personalized Parkinson’s Project, a multi-year study to identify patterns in the progression of Parkinson’s disease and provide a foundation for more personalized treatments. Also, Study Watch will be used in the forthcoming Baseline study, a longitudinal study exploring transitions between health and disease. In the future, we plan to incorporate Study Watch in a broad array of health applications. Today, we are proud to debut our newest investigational device, the Verily Study Watch. The ability to passively capture health data is critical to the success of continuous care platforms and clinical research. Study Watch represents another step in our targeted efforts to create new tools for unobtrusive biosensing. While numerous wearables exist in the market, we have a specific need outside of these offerings: namely, the scalable collection of rich and complex datasets across clinical and observational studies.